Welcome to Abu Dhabi, a city of contrasts and colours which boasts elegant skyscrapers and glamorous hotels while blending in timeless traditions and natural serenity. 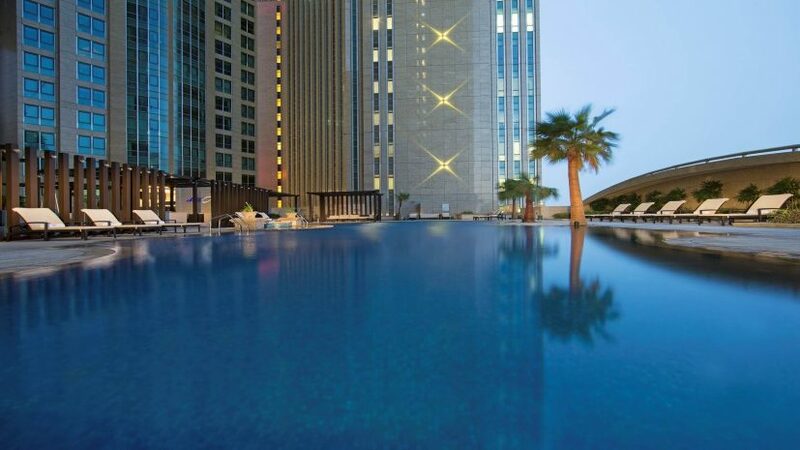 With luxurious shopping malls, traditional markets, commercial districts, golden beaches, and plenty of adrenaline packed activities, Abu Dhabi is the ultimate hub for business and leisure travellers. Here is our recommendation of the top 10 things to do when visiting the Capital city. 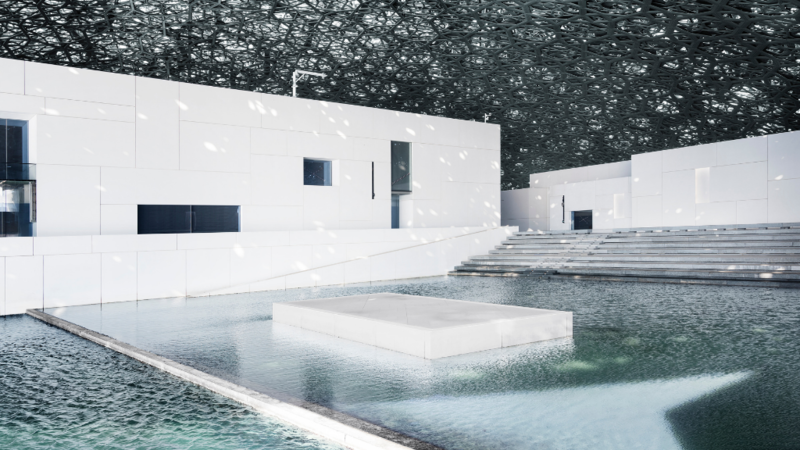 Louvre Abu Dhabi is an art lover’s paradise located on the culture district of Saadiyat Island. Browse through 9,200 sq.m of galleries featuring significant artefacts from ancient civilisations and precious works of art. Marvel at the museum’s iconic dome which was designed by award winning architect Jean Nouvel to resemble a date palm tree filtering in sunlight. 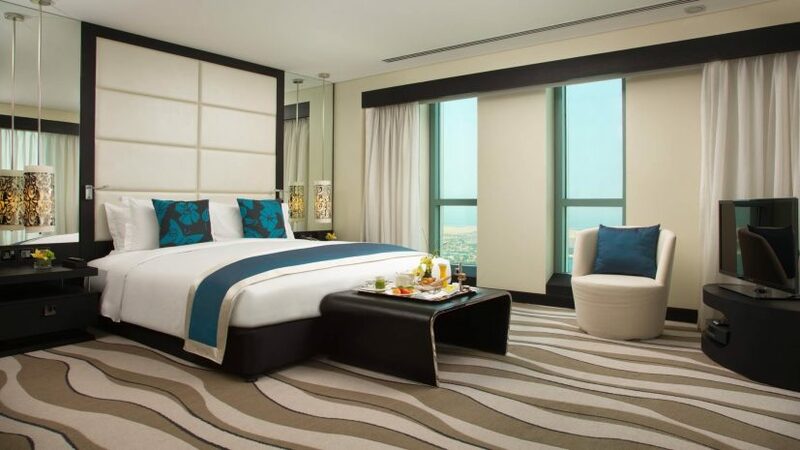 Discover treasures from around the world when staying with us at Sofitel Abu Dhabi Corniche and benefit from a special offer where you receive 2 complimentary tickets to Louvre Abu Dhabi, free transportation to the museum, and a delicious breakfast, when booking a minimum 2 night stay. 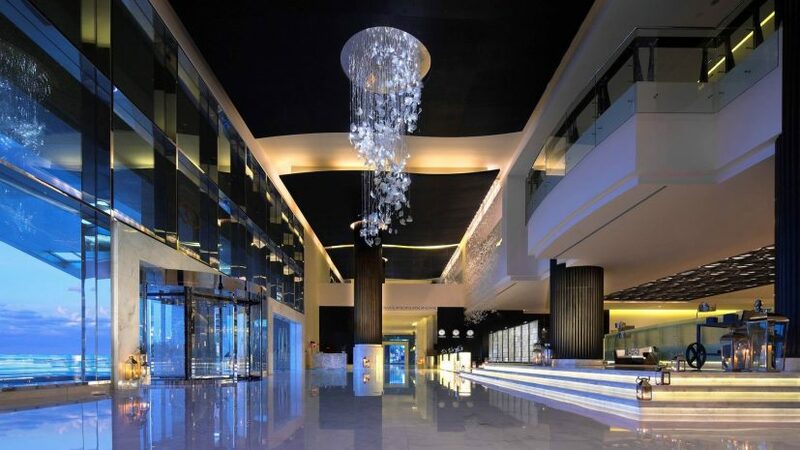 Located 30 minutes away from Sofitel Abu Dhabi, Yas Island is home to 3 exciting theme parks. 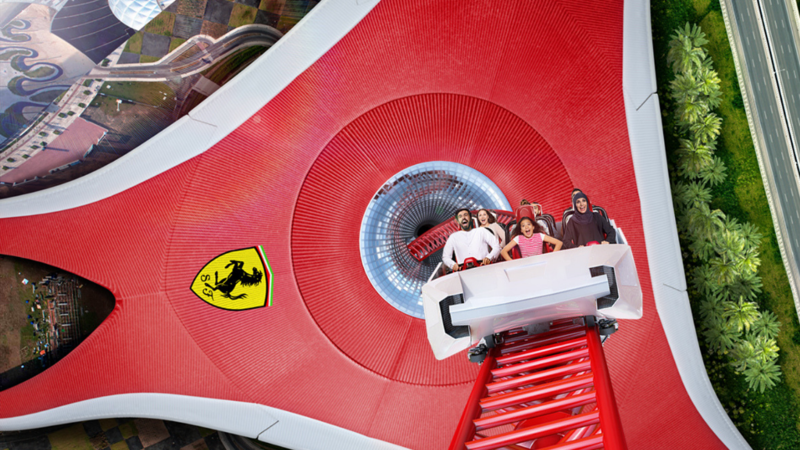 Meet your favourite characters at Warner Bros. World, ride the world’s fastest roller coaster at Ferrari World, and splash around Yas Waterworld while enjoying thrilling rides. 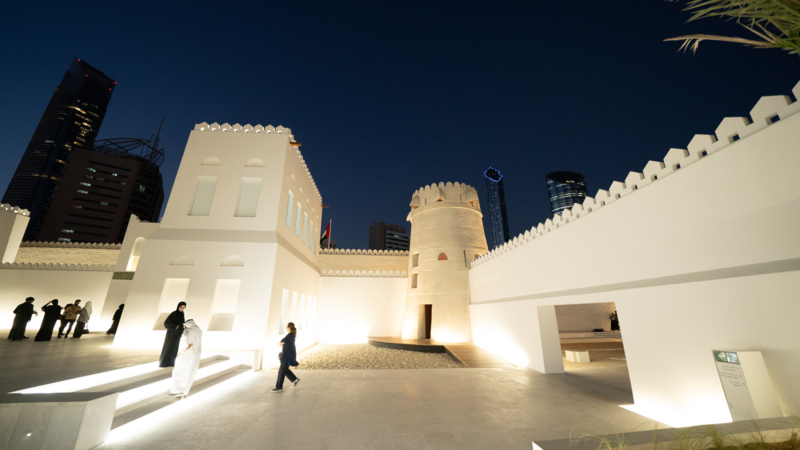 Go back in time and learn all about Abu Dhabi’s humble beginnings at the Qasr Al Hosn complex. Following a long restoration project, the complex re-opened in December 2018 offering visitors a complete immersive experience at the city’s oldest landmark. After your museum tour, make sure you visit the House of Artisans and learn all about the Bedouin traditional handicrafts. 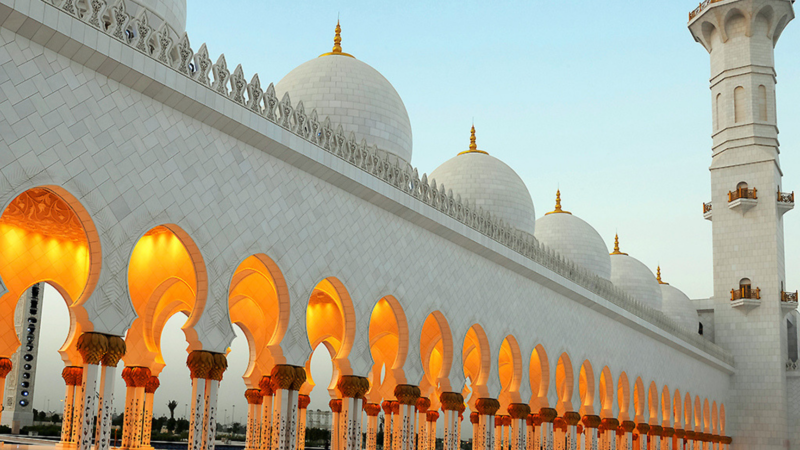 No visit to Abu Dhabi is complete without visiting one of the world’s largest mosques, the iconic Sheikh Zayed Grand Mosque. 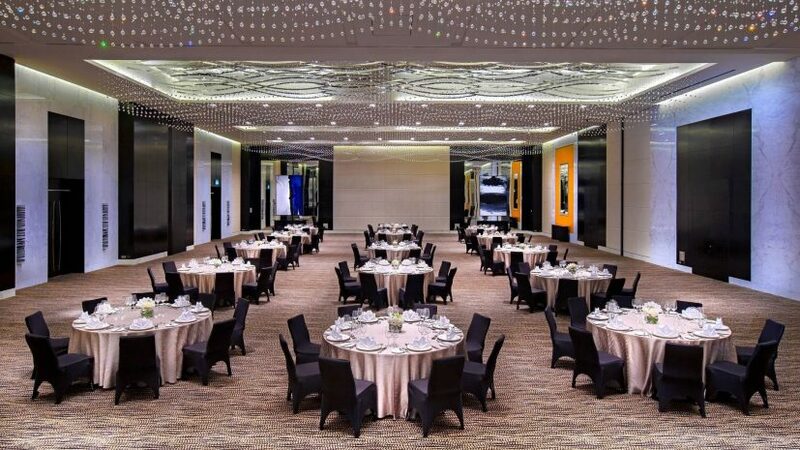 The impressive structure boasts the world’s largest hand-knotted carpet and crystal chandelier as well as impressive lighting technology which reflects the phases of the moon. Guided tours are available and non-Muslim visitors are welcome to visit, however please refer to the official website for specific timings. 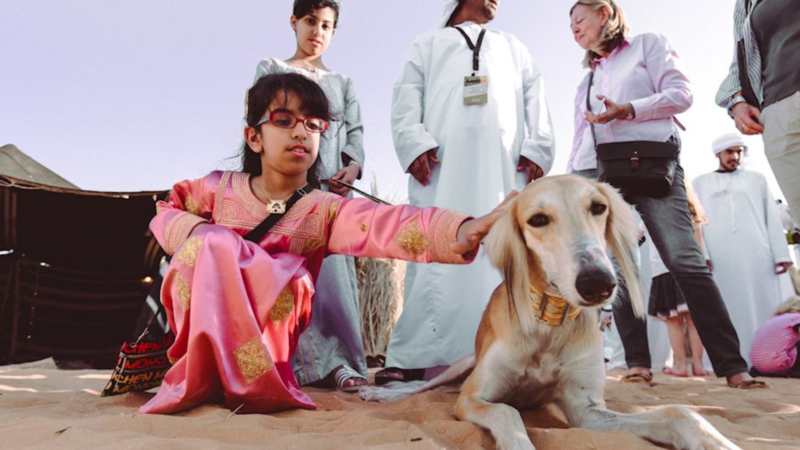 Did you know that Abu Dhabi has a centre dedicated to the Saluki – the UAE’s treasured dog breed? During the Bedouin days, these dogs accompanied tribes during hunting trips and are highly valued having been a part of history for thousands of years. When visiting the Arabian Saluki Centre, visitors will learn all about the importance of this dog breed and get some real Saluki cuddles from the resident dogs. Abu Dhabi’s Corniche is one of the most popular places in the city, whether you are looking to exercise or enjoy a leisurely stroll. 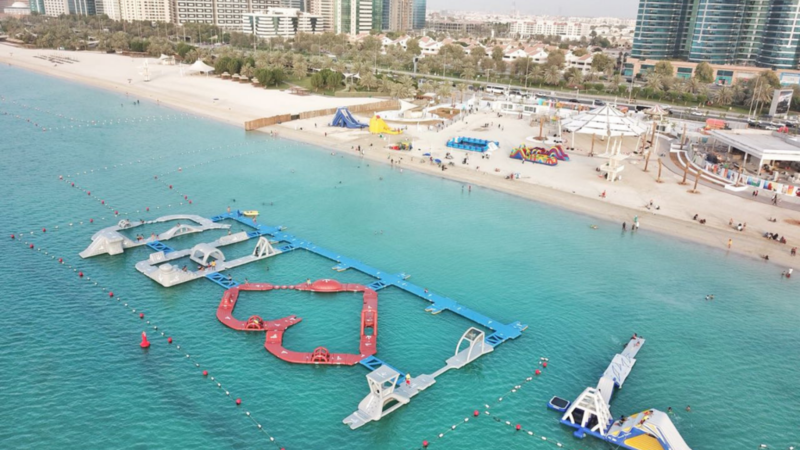 Surrounded by turquoise water and white sandy beach, stop by A’l Bahar located along the promenade where you can enjoy delicious bites from 20 restaurants and cafes, mingle with the local community over a game of basketball, and watch the most beautiful sunsets. 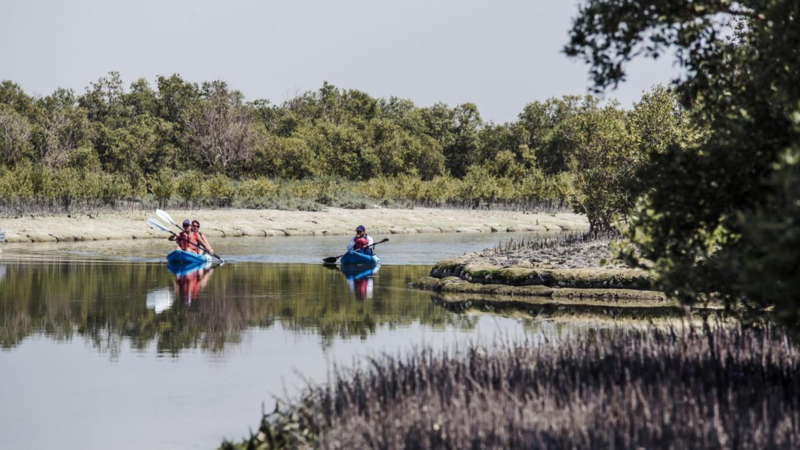 Immerse yourself in the dynamic ecosystem of Abu Dhabi’s protected Eastern Mangroves located just 15 minutes away from Sofitel Abu Dhabi Corniche. Did you know that the mangroves are home to several animals including various species of fish, red foxes, and plenty of birds like migrating flamingos? Apart from providing a protective habitat, they also protect the shores from erosion. Rent a kayak and paddle through the natural reserve, and when your tour is finished, enjoy a refreshment at the promenade’s collection of restaurants and cafes. 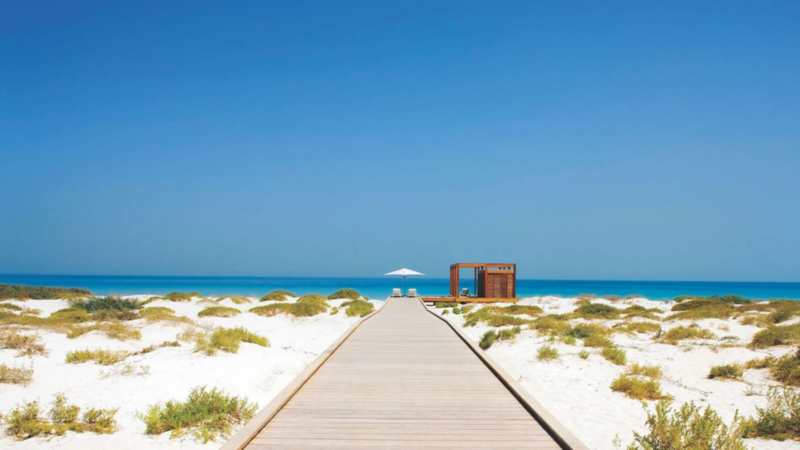 Located on the idyllic Saadiyat Island, the Saadiyat Public Beach is a treat for all relaxation seekers. White sandy beaches and a pristine shoreline make this place the perfect location for serenity and tranquility. 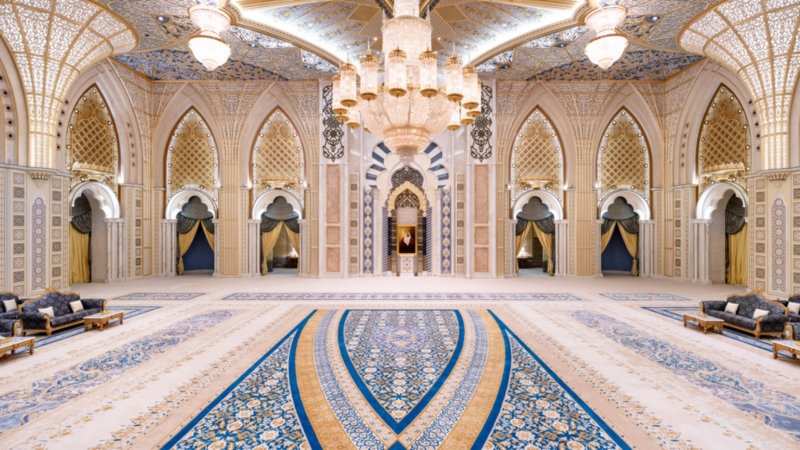 Located just 10 minutes away from Sofitel Abu Dhabi Corniche, Abu Dhabi’s latest attraction, Qasr Al Watan offers visitors the unique opportunity to visit a real life Palace. Admire beautiful artefacts and personal collections showcasing the UAE’s traditions, as you wander through majestic hallways and learn more about the innovations leading the future. Spend an afternoon learning all about the UAE’s national bird at Abu Dhabi Falcon Hospital, by booking the “Falcon World Tour”. 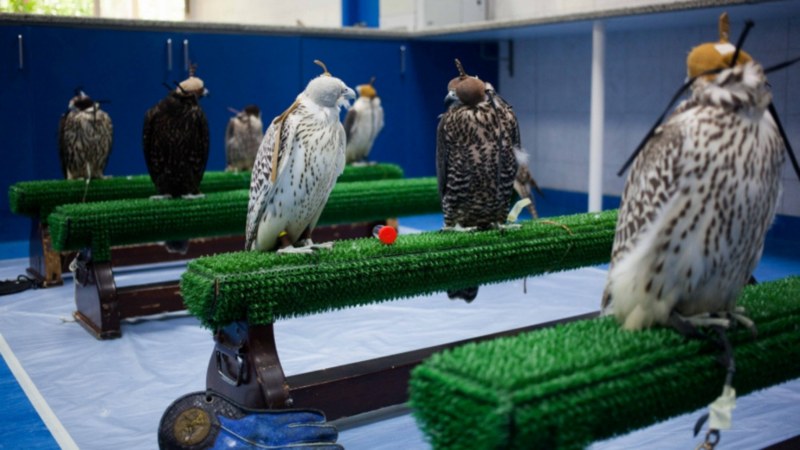 Visitors will be given a unique opportunity to learn all about the importance of falconry and enjoy a meet and greet with the aviary residents. Some images used above are owned by their rightful owner and they are credited in the captions.